Libra and Aries are opposite signs in the zodiac and indeed these two personalities are in many ways the mirror image of one another. Libra is sweetness to Aries spice; Aries is physicality to Libra’s intellectualism; Libra is passive and Aries is active. For two such opposing individuals, where does that leave Libra and Aries compatibility? We all know the cliché that opposites attract, but in real life – do they? There is almost always a chemistry and a sexual attraction between these two, that much is for sure. Libra and Aries compatibility exudes that certain magnetism that comes from opposite signs, and each finds in the other something they lack themselves. However, not all of us enjoy being reminded of our shortcomings by having a partner who is everything we are not – so this of itself is not necessarily a recipe for longevity in a relationship. 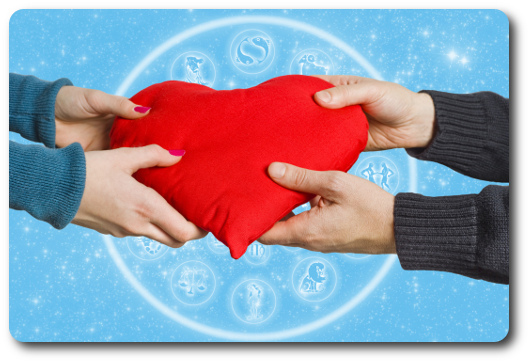 It’s all about fire and passion for Aries, and Libra compatibility is a much more gentle, romantic vibe; these two signs need to find some concrete middle ground in order for a relationship to last longer than a brief affair. A look at the ruling signs of the couple is intriguing, however. Aries is ruled by Mars, representing passion, and Libra is ruled by Venus, representing love. Clearly there is much potential here for a very hot and spicy love life, with mutual affection and demonstrative shows of love on both sides. But once the first flush of romance has worn off, the couple’s differences will start to show. Fire signs like Aries need air signs like Libra to help them grow, burn and fulfil their potential – but air does not really need fire. For Libra and Aries, compatibility tends to be on Libra’s terms, or not at all. While Aries is undoubtedly brave and forthright, it’s Libra who holds the emotional and intellectual power in the relationship. The typical Aries partner is a little insensitive, selfish and gruff, which will certainly ruffle the delicate feathers of sensitive Libra. The Libra partner will put up with it all with good grace and charm, however, because he or she is ever the diplomat and craves harmony in the relationship. Should Aries push too far, however, even idealistic Libra will drop those rose coloured specs and get an unwelcome dose of reality. It’s a very fine balancing act. On an everyday basis, while simple things like how to make a decision are so very different for Libra and Aries, compatibility can swing back and forth like a pendulum. Libra will weigh up everything carefully and attempt to rationalise every decision and choice, even as Aries rushes in an announces that the deed has already been done. You can see where conflict can so easily arise. Both of these zodiac signs are cardinal signs, however, which could be helpful to this pairing. 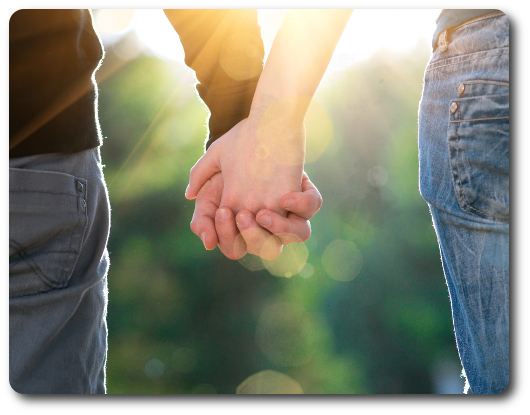 Star sign compatibility has a lot to do with how well (or not) sign elements and qualities go together, and in a relationship with two cardinal signs, the couple will be always on the go. Libra and Aries compatibility, whatever its quirks and foibles, will mean a relationship that is always evolving, always moving forwards and never caught up in the past. Neither sign holds grudges and each will be quick to forgive and forget – even if Libra misses an important deadline or Aries burns dinner three nights out of five. Don’t underestimate how vital this “move on” energy can be for saving a relationship with as many ups and downs as Aries and Libra. Compatibility can be rescued well enough if the will is there. Ultimately, this Mars and Venus partnership survives because of what each sign can learn from the other. Aries can learn some patience, diplomacy and finesse from Libra, while Libra learns decisiveness and daring from Aries. Essentially, the signs pull in opposite directions, but where they meet in the middle you can find Libra and Aries compatibility which is surprisingly gentle, tender and romantic. If Aries remembers to be polite, and Libra remembers not to dawdle, this could be one of those “against the odds” relationships which seems to work almost in spite of the partners rather than because of them. The Idealist can tame the Hero and show him or her how life could be – if both are willing to tolerate some bumps in the road along the way.